Bishop Challoner Catholic Secondary School is a vibrant mixed 11 – 16 school serving a wide area of Basingstoke, North Hampshire. The oversubscribed school has 826 pupils and the most recent Ofsted report rates it “good to outstanding” in all areas. It was founded by Trustees of the Roman Catholic Diocese of Portsmouth, is maintained by Hampshire County Council. 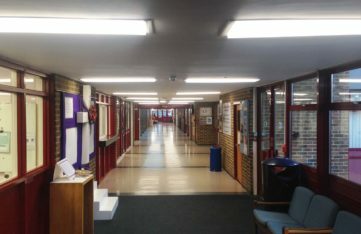 The Diocese has embarked on a wide-ranging energy efficiency drive in its schools and saw Bishop Challoner as a good candidate for savings, given its £24,500 annual electricity bill for lighting. 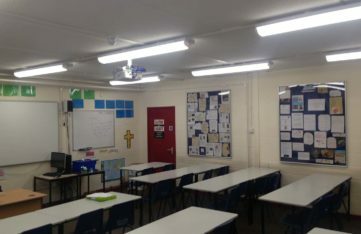 The school was introduced to SaveMoneyCutCarbon through the Diocese, who identified the need for LED lighting not only to cut energy bills but also improve quality of light and reduce maintenance costs in the school, built in 1975. A big advantage of working with SaveMoneyCutCarbon is the company’s extensive expertise in securing interest-free funding from Salix Finance. 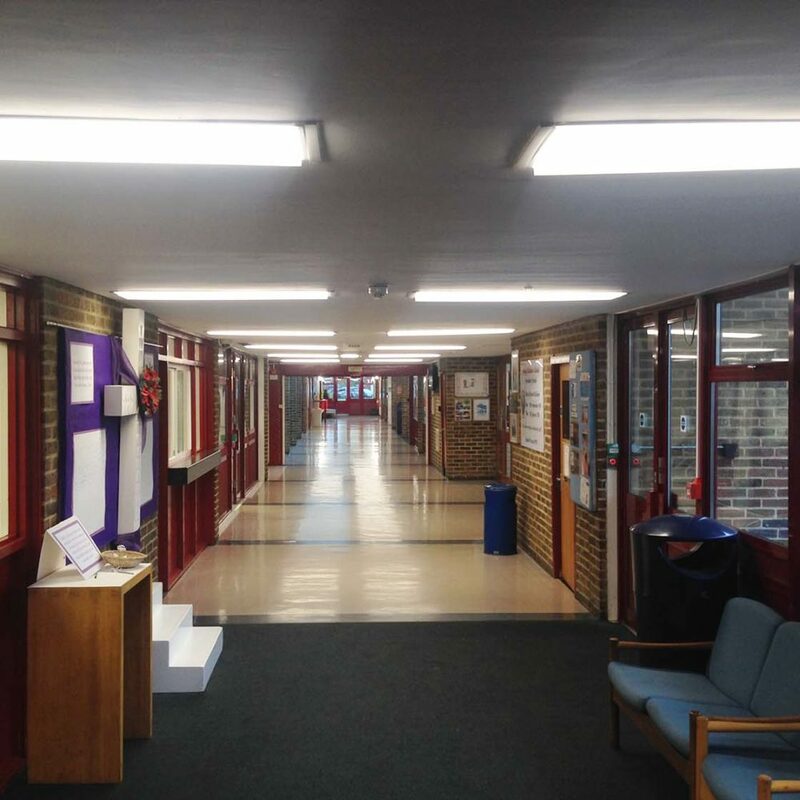 Using this knowledge, Bishop Challoner school took advantage of a full LED retrofit, with Salix funding repayments covered by energy savings. 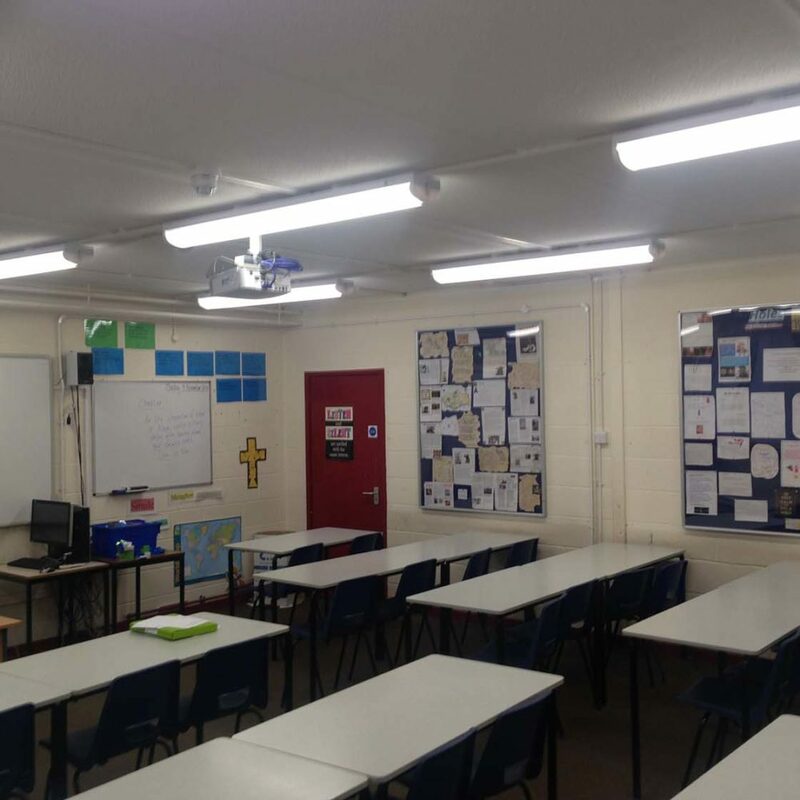 The SaveMoneyCutCarbon Field Services team, directed by business development manager Ashley Watson replaced more than 1150 panels, tubes, 2D fittings, downlights and lamps across the whole school, including exterior environments. 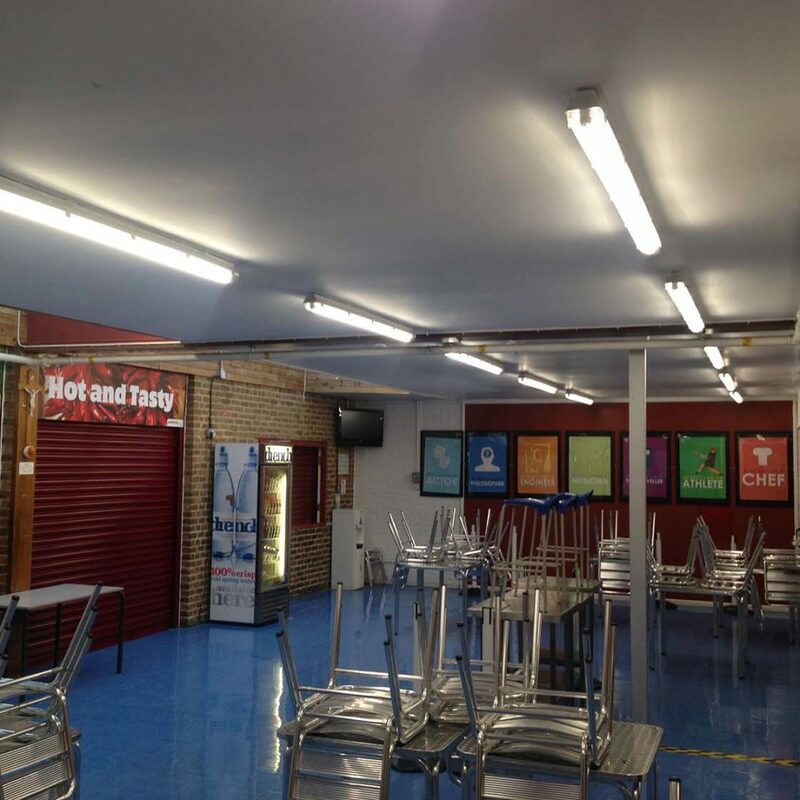 Given the logistical challenges of working around a busy school in full flow, the installation team completed the work during the holiday period, minimising disruption and ensuring maximum safety. 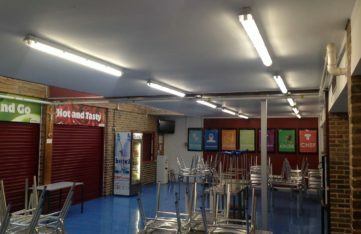 Using best quality LED lamps ensured high reliability with minimum maintenance in comparison to the previous lighting solutions, which included aged fluorescent tubes. Fluorescents are good for roughly 5,000 hours before light degradation occurs. The new lighting should provide up to 50,000 hours of continuous usage with very little degradation. And the traditional incandescent light bulbs in the school only lasted on average around 1,000 hours. The exceptionally long life of LEDs brings the additional savings benefit of lower maintenance costs with far fewer lamp changes. All of the lighting is fully supported with a no quibble five-year manufacturers’ warranty. The LED lighting project was fully managed by SaveMoneyCutCarbon, including the complex Salix funding application on behalf of the school. The specialist team delivered everything from survey to specification, installation, testing and monitoring. We specialise in assisting public sector organisations to receive 100% interest free loans from Salix Finance for energy efficiency projects.